Christkindlmarket Milwaukee outside of the Fiserv Forum. Photo by Jeramey Jannene. 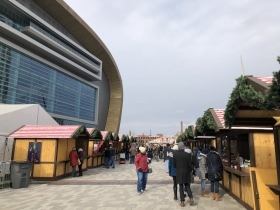 The plaza outside of the brand new Fiserv Forum now has a distinctly old-world feel. 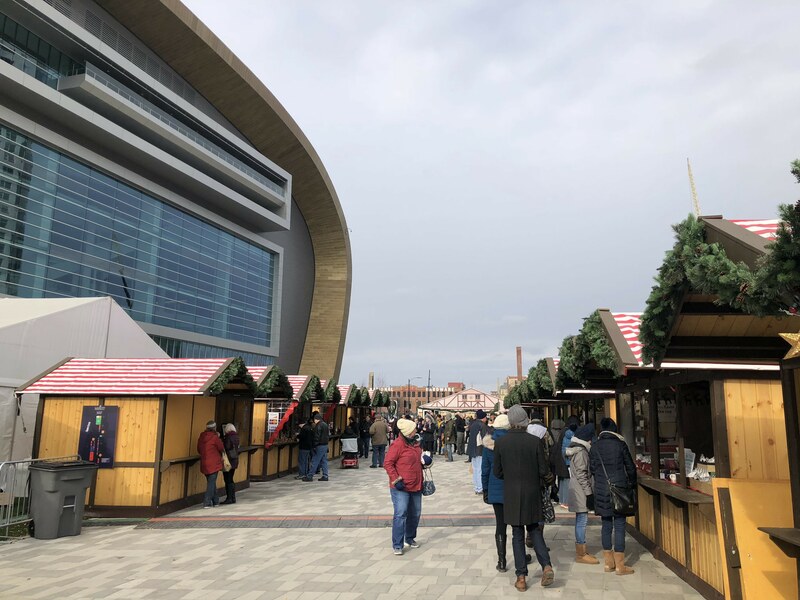 Christkindlmarket Milwaukee, a German-style Christmas market, is operating now through December 31st between W. Juneau Ave. and W. Highland Ave. on the plaza in front of the arena at 1111 N. Vel R. Phillips Ave. 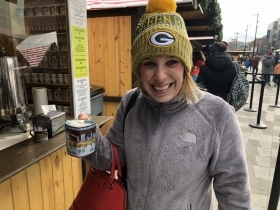 Hosted by a partnership between the Milwaukee Bucks and German American Chamber of Commerce of the Midwest, the market is open Sunday through Thursday from 11:00 a.m. until 8 p.m. On Friday and Saturday the market is open until 9 p.m. 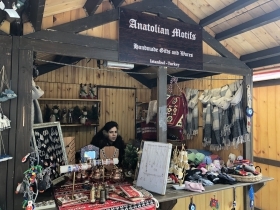 Vendors sell everything from hot chocolate and German sweets to nutcrackers and pickle ornaments. 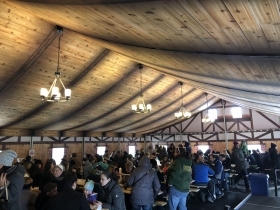 Should the weather outside prove frightful, there is a large heated tent to enjoy food and beverage, two indoor stores featuring German treats and gifts, and, in true Milwaukee fashion, a number of covered bars. 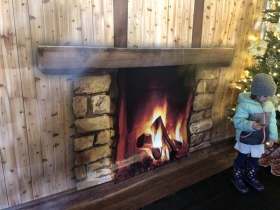 The market is based on the Christkindlesmarkt in Nuremberg, Germany as well as the Chicago Christkindlmarket. Mark Tomkins, president and CEO of German American Chamber of Commerce of the Midwest, said at a July press conference that the large Chicago market had an economic impact of $170 million in 2017. The chamber operates markets in The Loop in Chicago as well as suburban Naperville. 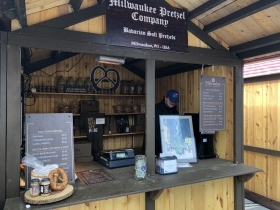 Milwaukee’s will be the first such market in the United States outside of the Chicago area.